The Beta Machine's "All This Time"
﻿Published by Wu-Man Chu on May 16, 2017 at 9:38 p.m. Updated on May 17, 2017 at 12:49 a.m.
LOS ANGELES – On March 28, The Beta Machine released “All This Time”. It featured five songs: “Pictures”, “The End”, “Again and Again”, “All This Time” and “Tower” featuring Carina Round. My physical copy arrived in the late part of April. ​If superheroes had a soundtrack, “All This Time” would be it. The cover made me think of The Human Torch talking to Stan Lee. “Pictures” made me feel as if I was the last superhero on Earth, “The End” gave me the feeling of running away, “Again And Again” felt like I took flight, “All This Time” was me floating around in space and “Tower” provided the feeling as if I reached a new planet to start anew. It took me on a “Fantastic Voyage”, like Coolio. 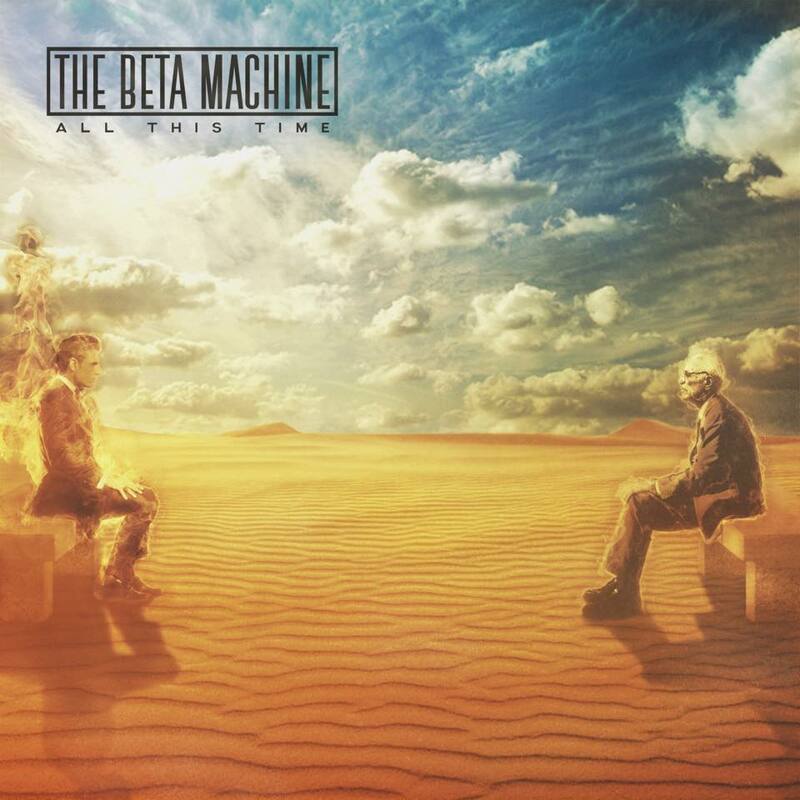 The Beta Machine’s “All This Time” features Matt McJunkins (vocals, bass, guitar, synth, programming), Jeff Friedl (drummer, programming), Claire Acey (vocals for the exception of “Tower”), Round (vocals for “Tower”), Mat Mitchell (synth, guitar, programming), Danny Levin (horns on “Pictures” and “Tower”) and Max Hart (piano on “Tower”). Songs on “All This Time” by The Beta Machine were written by McJunkins and Friedl. “Tower” was written by McJunkins, Friedl and Round. It was produced, mixed and engineered by Mitchell. Brian Gardner mastered it at Bernie Grundman Mastering, recording was at Clear Lake Recording Studios and Mat Mitchell Studios, Jeremy Berman was the drum tech, Danny Excess was charge of art direction, additional artwork was by Justin Mohlman and Ian J. Friedman, Esq. was in charge of legal. Special thanks were credited to: Mitchell, Mohlman, David Kinsler, MJK, Billy Howerdel, Round, EODM, Stephen Steelman, Brad Ragland, Kevin Llewellyn, Patrick Surace, Priscilla Scott, Christian Conte and Sara Cummings. Very special thanks went to The Beta Machine’s Pledge Music supporters: Robbie Korwek, Kris Hughes, Trish Hughes, Thomas Iwanicki, Hila Dagan, Annie Tennyson, Guillermo Basoco, Trey Cornish, Adam Acey, Kayla Jacoby, Matt “Curfew” Reynolds, Logan Taylor Purvis, Tim Mobeck, Catharina Brandt, Sareth Ney (my alter-ego), Nikolas Vincent Brigando, Phil Parsons, Dr. Dennis “Freakasaurus” Dudek and Leonardo Da Vinci Hardie. “All This Time” by The Beta Machine is copyrighted via Junkdaddy Music (BMI) and Jeff Friedl (BMI), except for “Tower”. “Tower” is copyrighted with both and Carina Round Music (ASCAP). It is manufactured and marketed by The Beta Machine. Stream or purchase? Purchase it on Amazon, Google Play, iTunes and/or a physical copy at The Beta Machine’s shows.